Well, here we are, once again trying to predict how the Buffalo Sabres season will go. Last year (like every year) started with hope in Buffalo that this time around the Pegulas got it right in hiring Phil Housley and Jason Botterill to be GM and coach and bring about a new era of Buffalo hockey post-tank. That new era has arrived and it has a name; youth. Youth will be the topic of the season with the roster having an average age of 26 with most of the players on the roster under that age. Buffalo experienced a facelift during the offseason that allowed them to bring about this era of youth with the Ryan O'Reilly trade, resigning only one of their UFA's (unrestricted free agents,) drafting Rasmus Dahlin, and the trades for Conor Sheary and Jeff Skinner. All of this culminates in one thing for Sabres fans and that is hope. The hope that this team is finally heading in the right direction, that GMJB and Housley won't have to be added to the long list of firing's within the past decade, and that finally, the Buffalo Sabres can reach the playoffs. Will Buffalo make it this season? Probably not. But for the first time in a very long time Buffalo may actually be truly FUN to watch, and when was the last time anyone used the word fun for the Sabres? The best case scenario is Buffalo's first Stanley Cup victory, but that is very unlikely. The true best case scenario for Buffalo is by vying for a playoff spot, being a dark horse to get in, and at least being competitive compared to the team's past. With players like Eichel, Dahlin, Mittlestadt, and their other young guns, the Sabres should be a very exciting team to watch. Eichel should finally have his true breakout season, and may even be a possible contender for MVP, which should shut up the national media who don't think he is that worthy of praise. Dahlin or Mittlestadt is going to win Rookie of the Year, and the fact that Buffalo fans will get to watch that battle take place should turn this year into an exciting one. As long as Buffalo is competitive and put a good product on the ice, it will be an improvement and a better season than most. When it comes to the Buffalo Sabres, is there really that much of a worse case scenario that we haven't already seen? The true worst possible scenario would be that Eichel, Dahlin, and Mittlestadt all suffer career-ending injuries, but how likely is that to happen? Yeah, Buffalo may end up in the lottery again and may be one of the worst teams in the league, but as long as they show some sort of improvement, it's a good thing. To me, there really isn't a true worst-case scenario because Buffalo fans have been at and seen rock bottom with this team and there is nowhere to go but up. This team may still very well be bad, but that should just add to the list of "another lost year" because we have seen it already for almost a decade. This Buffalo Sabres squad should be the first team in a long while that envokes excitement among fans and brings new life to an upset and disgruntled fan base. GMJB has a vision, unlike previous management, and he is truly showing that to the fans. He wants to win and he is sick and tired of the losing culture in Buffalo just like everyone else. This team should actually be a fun team to watch. Eichel should take another step towards being a superstar, Dahlin and Mittlestadt are going to compete for ROY, and it will be interesting to see what young guys show up. Remember, "Youth" is the theme this year. Buffalo fans should look to this season with the hope that change is actually coming, and as long as they don't finish in 31st view that as progress. The light is at the end of the tunnel and the promise land is nearing, it just may take just a little more patience to achieve it. 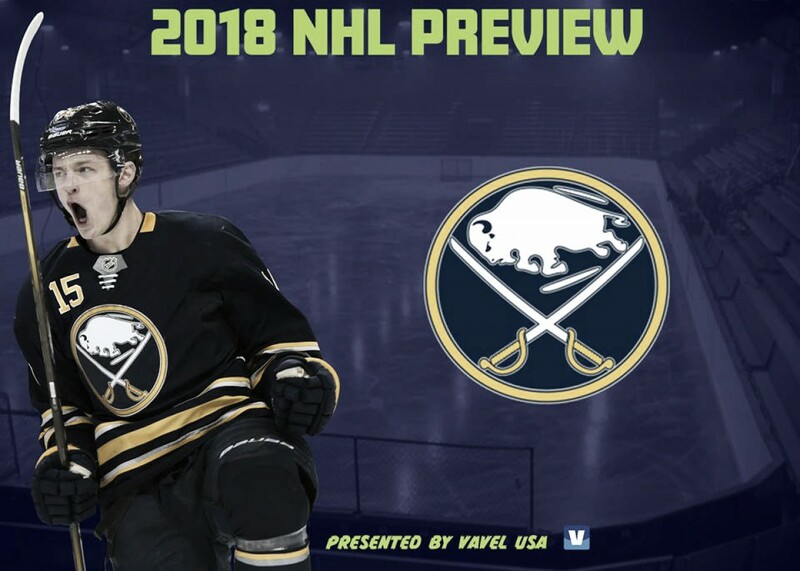 How do you think the Sabres will do in 2018/19? Let us know in the comment section below and be sure to give us a follow on Twitter by searching (@VAVELNHL_ENG).